LOVATA Company specializes in development of custom eCommerce solutions. We provide all kinds of custom eCommerce website development services, starting from fine-tuning existing solutions to complete design and development of high-traffic eCommerce portals and marketplaces from the ground up. Responsive, multi-platform solutions. Taking into account that nearly 60% of online traffic is now mobile and that it’s easier to rank high for mobile devices, plus that kind of traffic is often cheaper, it is vital to have your solution optimized for all common mobile devices. UI/UX Design has a huge importance in developing a successful eCommerce web portal or mobile app. Thoughtful logic and fluid transitions, simple and clear user interaction, responsiveness and high performance, attractive presentattion of products or services, easy payment flow and many other little but very important details have a massive influence on the dynamics of eCommerce company’s profits. That’s why you should always choose an experienced and well-trusted eCommerce website design and development company.  LOVATA’s approach towards building your eCommerce environment is to create an omni-channel solution to give clients a unified experience through multiple channels of your business: retail and online stores, email offers, social media, mobile devices, etc. Our custom eCommerce solutions are integrated out-of-the-box with the most popular, advanced and up-to-date CRM systems, including Salesforce, AmoCRM, Retail Rocket among others. We are capable of integrating your new solution with any CRM system that supports RESTful API. We are also fully equipped for design, development and deployment of custom CRM solutions that tackle your business’s individual needs. We begin building projects with a thorough business and competitive environment analysis (if required) before moving on to the actual development process. Business Analysis is a vital part of our development process and the first stage to developing any complex project or solution where we review the client’s business goals and strategies. The result is a detailed requirements list and technical specification which includes crucial aspects of design and development. This is the backbone of any product being developed. We stick to flexible Agile software development methodologies (mainly SCRUM & Kanban, depending on the project’s business needs). We employ continuous integration and continuous delivery methods & techniques to deploy high-quality versions of the product, putting forth new goals with each iteration, looking back at what we’ve already achieved and constantly improving based on past experience. Before beginning to work on the project, we sign a service-level agreement (SLA) that ensures there is no room for confusion regarding the services that need to be delivered at a specific date. This makes us aware of client’s exact expectations and to set in stone such aspects of the services provided as quality, availability and the responsibilities of both parties involved. At the same time the SLA agreement guarantees that the client receives the full range of features that were set forth during the stages of business analysis & project evaluation. LOVATA software development company not only helps you with designing and developing your eCommerce solution, but also offers complete product development services (PDS). We have experience in launching our own products and know what it takes to successfully deliver products to the market. We do not leave our clients behind and provide them with timely support from the moment we launch the product until our help is no longer needed. Our team of professionals assists the client in every way possible through all hardships of deployment and market launch. Companies come to LOVATA not only to receive high-quality eCommerce design & development services; they come to us for great and professional experience. We treat our clients as partners and work with them collaboratively, striving to translate their ideas into brand new eCommerce solutions that will ultimately have a significant impact on their market. Our eCommerce web developers are tech savvy, UI/UX designers have an eye for beautiful and enticing interfaces, while our business analysts and project managers understand modern realities of the market. You come to us with raw ideas, while we provide you with polished ways to realise your business goals. We are dedicated to delivering quality solutions created with the best tools and methodologies available on the market. We bring to life any features you would like your project to have, guiding you through the capacity and constraints of modern design & development. Do not hesitate and contact us now! LOVATA offers a standard 12 month warranty on all products that we develop, with a possibility to receive lifetime warranty for some projects. The warranty covers all bugs that might arise. That’s why we always strive to deliver completely fine-tuned, bug-free software solutions on time and on budget.